Attention: These details are for a past event. View upcoming events in Petaluma. Information Panels will consist of ANMT teachers, current students in the program, ANMT graduates, and employers who hire our graduates. Come and learn the value and benefit of an ANMT education from multiple perspectives! Contact Marie Wilson at 707.639.4066 x 150 to reserve your seat. 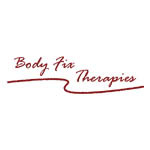 Bodyfix Therapies hires Graduates from NHI, due to the knowledge the graduates have after completing school. The hands on experience they are given during internship and in class via clinic shows how they are dedicated to the career they have chosen. Many of the modalities the graduates are taught are the modalities Bodyfix Therapies require for our company to achieve in helping clients with their specific needs. The benefit of the core program versus a shorter length of school time is the advancement the graduates will have upon completing and showing their true potential in the massage industry. The more the students know about anatomy, phys-path, muscle movement and bone movement is a benefit all in itself. The more the students can learn the better for them to achieve success in their massage career.